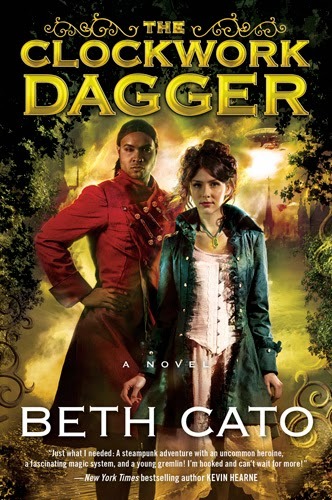 This morning's post comes from the awesome Beth Cato, whose debut novel The Clockwork Dagger comes out on September 16th. Everyone go buy it! Beth hails from Hanford, California, but currently writes and bakes cookies in a lair west of Phoenix, Arizona. She shares the household with a hockey-loving husband, a number-obsessed son, and a cat the size of a canned ham. 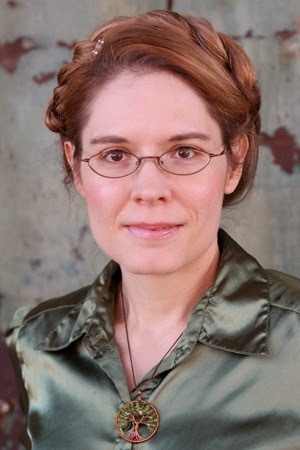 Beth's short fiction can be found in Orson Scott Card's InterGalactic Medicine Show, Beneath Ceaseless Skies, and many other magazines. The Clockwork Dagger is her first novel. The sequel, The Clockwork Crown, will be released in 2015. Follow her at www.BethCato.com and on Twitter at @BethCato. Thanks for stopping by, Beth! My lifelong dream is coming true. I'm going to be a published novelist. My steampunk fantasy novel The Clockwork Dagger is released by Harper Voyager on September 16th. The road to publication has been a very educational experience. Here are five surprises, good and bad, that I've encountered over recent months. 5) People often ask about the movie. "When does the movie come out?" is the first reaction of people about 1/3 of the time. Some folks are genuinely surprised that I have no control over this. But then, some folks wonder if I'm a millionaire now. Um, no. I'm pretty happy as a thousandaire, though. 4) Sometimes you do get a say in your cover. I have read for years that most authors do not get to participate at all in the book cover creation process. I braced myself for this same fate. To my surprise and delight, Harper Voyager asked my feedback every step of the way. This is something that really depends on the editor and imprint, and I was blessed. Plus, my cover is gorgeous! 3) Nothing happens, then everything happens. 2) Agents are a godsend. People focus on the necessity of having an agent to handle contract negotiations, but good agents are there every step of the way. If I have a concern, if I need a deadline tweaked, if my ego needs a salve, my agent is there. 1) Advanced Reader Copies are better than a pet rock. A book with your name on the cover is very huggable. It likes to be carried around the house and to attend parties and to sit within arm's reach. Holding that book is the most amazing feeling in the world. Even knowing that this has been coming for months, I still get giggly sometimes and think, "This is really real!" It will be even more real soon when I have the real copies in hand. Wow. The Clockwork Dagger comes out on September 16th. You can read the full first chapter at Tor.com.